With the new school year nearly here, students all across the country are getting ready to head back to the classroom and resume their academic careers. In our last post, we talked about three things you can do to get kids ready for the school year, and we hope that you’ve done some, if not all, of those suggestions. At LearningRx, our brain training programs are designed to help students of all ages. 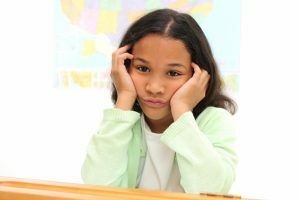 Whether they’re starting a new subject this year, or they’ve moved to a new school, students can face all types of challenges when it comes to learning and classwork. 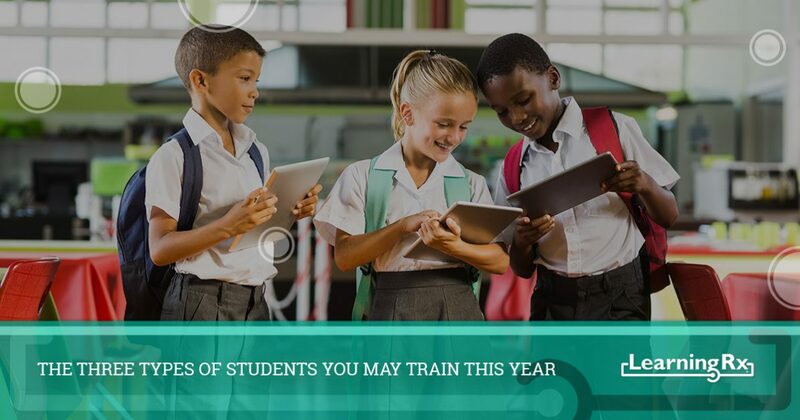 In this post, we’ll look at three types of students you may train this year at your educational franchise location. It’s always fun to meet a student who is excited about school, and learning in general. They want to get better at whatever it is they’re doing, and they understand that a cognitive skills program could be the key to helping them improve both inside and outside the classroom. They may have been hesitant when their parent or teacher first recommended your learning center, but now that they’re there, they’re ready to get started. This student has probably been struggling for a long time with certain subjects or certain aspects of the classroom, and may have tried traditional tutoring methods in order to improve. They might feel like they’re being forced to attend their training sessions, and they may be reluctant to open up and participate during the first few sessions. Being patient will be the key to helping them rediscover their confidence, and see the positives that can come out of working with a brain trainer. LearningRx’s programs are designed for students of all ages, so it’s very possible that you’ll have a few non-traditional students come to your center this school year. They may be older adults who are going back to college to get their degree, or they may be someone who’s dealing with the effects of a traumatic brain injury. Whatever the case may be, you’ll find that our programs contain the curriculum and the processes for helping a student of any age improve their cognitive skills and become a better learner. These three types of students encapsulate a majority of the ones you’ll see at your brain training franchise this year, but there will always be exceptions. At LearningRx, we want you to be able to connect with every person who walks through your door, and we’re always here to support you in whatever way we can. If you’re not yet a franchisee, but you’d like to become one, then please don’t hesitate to contact us. We’re always excited to meet people who want to help students become better learners and better people through brain training, and we’ll gladly answer any questions you may have about our franchise model and new location placement. Call us today at (719) 955-6708, or fill out the form below and we’ll get in touch with you.